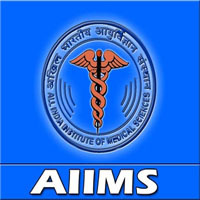 All India Institute of Medical Sciences (AIIMS) Job notification for Yoga Instructor, Assistant Engineer, Junior Engineer, PACS Administrator, Maternity and Child Welfare Officer, Electrocardiograph Technical Assistant, Health Educator, Medical Record Officer, Office Assistant, Private Secretary, Personal Assistant, Assistant Store Officer, Medical Record Technician, Stenographer. The detailed eligibility and AIIMS Recruitment application process are given below. Applicants who have completed 12th, Diploma, Degree, B.E / B.Tech or equivalent from a recognized Institute for AIIMS Recruitment 2019. Eligible & Interested candidates can apply via offline in Official website page in www.aiimsjodhpur.edu.in AIIMS Recruitment 2019.